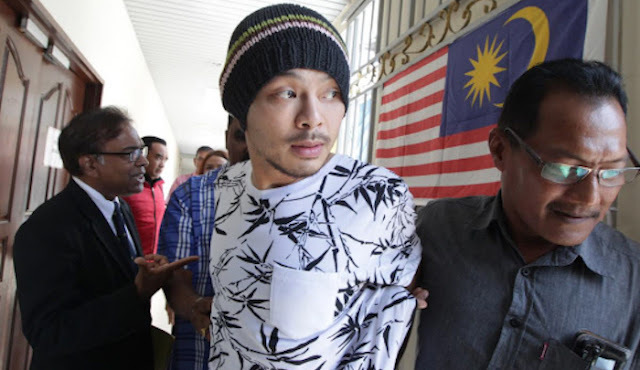 Malaysian police said a popular ethnic Chinese rapper was detained Thursday [Feb.15] over complaints that his latest music video featuring dancers wearing dog masks and performing “obscene” moves insulted Islam and could hurt racial harmony. It was the second time in two years that Wee Meng Chee, popularly known as Namewee, has been investigated over his music videos. The video was clearly meant to comment obliquely on corruption in Malaysia, and the “dog” masks for those who dance in front of the prime minister’s office, were perfectly fitting because 2018 is, according to the Chinese Zodiac, “the Year of the Dog.” That calendrical correspondence alone explains the choice of the dog-masks, as it does the sounds of barking dogs from around the world. To us, the offended Muslim in question merely sounds unhinged, but to many Muslims, alas, he will be seen as an admirable Defender of the Faith. Similarly, Muslim groups carried on a campaign against Nike for a line of sneakers that they claimed bore a design that resembled “Allah” in Arabic; Nike, deeply apologetic, dropped the line. A victory for Islam. And just in January of this year, the Swedish clothing brand H&M apologized for the appearance of “Allah” written, angry Muslims complained, on a new line of children’s socks. All the offending socks were recalled. Another victory for Islam. Muslims yet again had forced the kuffar to take seriously absurd Muslim complaints, to cravenly apologize for their error, and to remove the offending product.